Asked halfway through the semester, this student’s question was welcome but disconcerting—I didn’t realize that the connection between the real world and accounting concepts was missing for many students. It was a pivotal moment for me. The student did me a favor, pointing me toward a more effective teaching direction. I knew I had to use real-life examples in my classes to bring the accounting concepts to life. Doing so would not only help the students understand accounting better, but it would make it more relevant to them and prepare them for their future careers. At times, I was successful in incorporating real-life examples into my lectures. When I could locate an excellent news story that demonstrated how an accounting principle was impacting a corporation, I could see the students responding. When I didn’t have a real-life example, I returned to the hypothetical example approach, but it was clear something was missing: Many students were less responsive—they didn’t see the relationship between what I taught and how it would arise in the work world. This emphatically reinforced my determination to incorporate more real-life examples each time I taught a topic. Finding examples, however, was still difficult. At times, I would struggle to locate current news articles related to an upcoming lesson topic. Other times, I would see a great example in the newspaper, cut the article out, file it, and then not be able to find it when I was ready to lecture on that particular topic. I didn’t have the time or discipline to consistently supplement my lectures with real-life stories. I kept up the quest to find news articles, but the curriculum remained a work in progress. Two years later, the idea of real-life curriculum unexpectedly returned to the forefront when I attended the 2013 Conference on Teaching and Learning in Accounting (CTLA) associated with the American Accounting Association’s annual meeting. Andy McMasters, a corporate trainer and presentations specialist, was the featured CTLA luncheon speaker. During the luncheon, he asked attendees to identify a sought-after personal goal that we had set but not yet achieved. For me, this was easy enough. I immediately thought of my long-standing goal to start a blog. Not only had I never found the time to launch a blog, but I couldn’t decide on what its focus would be. Andy asked us if we could devote 1% of our time to that goal, saying that 1% would equate to just 15 minutes of effort. “Take your goal and devote 15 minutes a day on it,” he said—a simple, achievable plan in my eyes. Inspired and motivated, I left that lunch confident that my blog could become a reality. In a Conference breakout session later that day, a fellow attendee happened to mention how real-life stories could be used in the classroom. It was a casual but serendipitous aside that I overhead. It wasn’t the objective of the session, but it was enough to serve as my “Eureka” moment. The pieces fell into place, and I had my focus: I would start a blog on real-life stories that other faculty and I could use in teaching introductory accounting. The seeds planted, my desire to bring this blog to life grew even more. 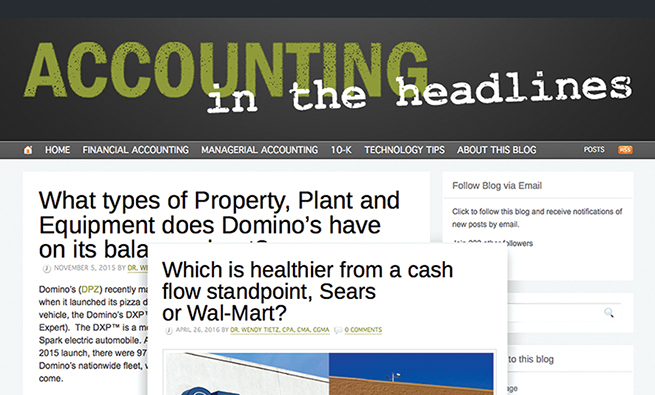 My blog, Accounting in the Headlines (https://accountingintheheadlines.com), arrived later that same year. 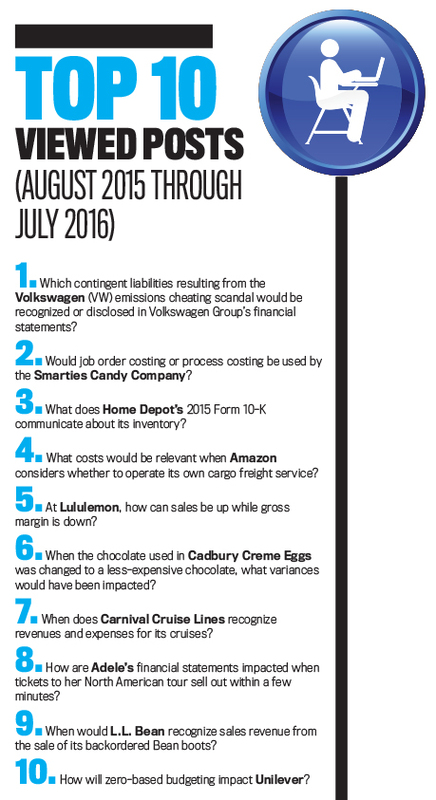 Accounting in the Headlines features real-life news events adapted for use in introductory accounting classes. Each week, I take a news story and rewrite it into a short, easily teachable format. Most blog posts are just two to three paragraphs in length so that the examples can readily be used in an already-full course. The blog content isn’t meant to replace what instructors teach but, rather, supplement lessons by providing real-life accounting examples. Each post includes three to four questions related to the discussion. The questions draw out the accounting treatment or the accounting impact in the story. To date, I have published more than 150 blog posts. I write at least one blog post per week during the academic year. I focus on recent news events involving companies that students would be familiar with and that would grab their attention. For example, I recently wrote a blog post about Panera Bread, the U.S.-based bakery-and-café retail chain (see “How does replacing employees with ordering kiosks at Panera change its breakeven point?” at end of article). This retail kiosk story is a particularly interesting example when teaching managerial accounting. The Panera kiosks specifically relate to accounting topics such as cost-volume-profit (CVP) analysis or breakeven analysis. Great classroom discussions can arise about cost structure differences or about the impact on the company’s breakeven point after making the switch from the variable expenses of employee hourly wages to the fixed expenses associated with the cost of those ordering kiosks. Typically, I alternate between writing about managerial accounting topics and financial accounting topics. Other recent Accounting in the Headlines blog posts related to managerial accounting topics include: zero-based budgeting’s impact at Unilever, the consumer goods manufacturer of health and wellness products; the related impact on variances when The Hershey Company used a less-expensive chocolate in its Cadbury Creme Egg product line; and the quality costs incurred by Mars Chocolate from the recall of its Snickers candy bars. A notable financial accounting story focused on Domino’s DXP, a customized pizza delivery vehicle. Domino’s Pizza, Inc. outfitted Chevy Spark hatchback cars with warming ovens, a Domino logo-beaming spotlight, and other equipment. The adapted smaller vehicles are capable of carrying up to 80 pizzas. The blog post focuses on the topic of property, plant, and equipment and whether Domino’s would capitalize or expense the cost of these vehicle customizations. A navigation bar on the blog website’s right-hand side lists the two major headings: financial accounting and managerial accounting. It also includes subheadings within those topic areas. While these topic areas are tied to the chapter titles in my textbooks, I try to keep them generic for any lecturer’s use, which makes it easy to locate blog posts on specific topics regardless of the textbook used. As you click on a chapter title, the blog posts related to that chapter will be presented. A search box also allows typing in a search term or search phrase; following a successful search, you will be presented with the blog posts that I’ve tagged with those terms. In May, I added another category to the blog called “Technology tips.” These include little tricks and tools I’ve found that make teaching accounting more effective and easier. Each short article highlights a type of technology that can be used in teaching introductory accounting. I focus on technology ideas that are simple to implement and are free or inexpensive. Visit http://bit.ly/29M9Ly2 to see the first post, which provides step-by-step instruction for adding closed captions to YouTube videos that you create. Another fairly new blog addition is writing stories featuring a small portion of a well-known company’s Form 10-K. Working with the entire set of financial statements and notes found within a Form 10-K to illustrate a concept in introductory accounting is ill advised. Most students would be overwhelmed by the detail and page volume. Instead, I write a blog post around a small, focused bit of information. For example, I simplified the statements of cash flows for both Sears Holdings Corporation and Wal-Mart Stores, Inc. into a few key lines in each of the report sections. In the post, I asked questions focused on comparing the items in the Sears and Wal-Mart cash flow statements to each other, determining which company is healthier from a cash flow standpoint. With all these posts, I am frequently asked, “Where do you find the news stories that become the foundation for the blog posts?” I read a variety of national and local news publications. I look for the following characteristics: a company that students are likely to recognize or be familiar with; a company possessing a story, be it extensive or a slice of life; and a situation that doesn’t involve overly complicated accounting, given that the blog serves an introductory accounting audience. Sometimes a story candidate looks interesting initially, but I’ll reject it after further reading because of the scenario’s degree of complexity or its lack of human interest. Each blog post includes instructor resources that make it easier for instructors to use the post in class. I provide a student handout, in both Word and PDF formats, that contains the blog story and the discussion questions. I also create a basic PowerPoint file that contains a few story bullet points and the discussion questions. This provides a quick visual presentation that enables students to visually confirm the basics of what was just taught. All blog content is freely available under a Creative Commons Attribution-NonCommercial 3.0 Unported license. Instructors are welcome to share and adapt the blog content as desired, especially in teaching endeavors, but appropriate credit must be given when the content is used or adapted. The material can’t be used for commercial purposes. Quite often, I am asked whether I publish solutions for the blog posts’ questions. I don’t. It would be difficult to control who sees or has access to the questions. Instructors use the blog in various ways, with some assigning the blog posts to students as graded assignments. Posting the suggested answers would negate their usefulness for graded assignments since students could easily locate the answers. More importantly, many discussion questions are intentionally ambiguous, making the answers different depending on someone’s viewpoint. I don’t want discussion limited by publishing one answer for each question because rich possibilities for discussion would be thwarted. Over the past three years, I have heard from instructors about how they use the blog stories in diverse ways, easily adapting them to their classrooms and their teaching style. 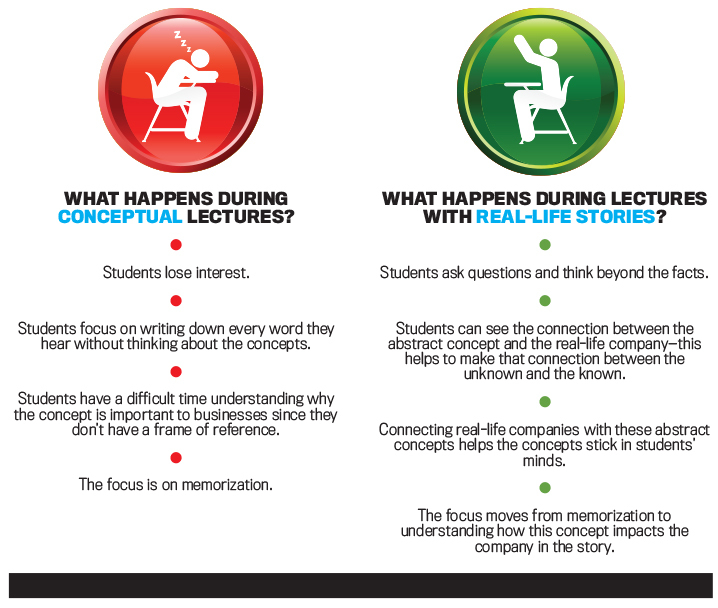 The stories consistently grab students’ attention. 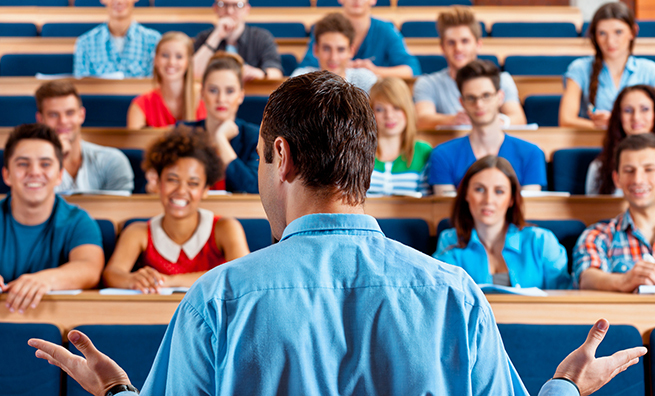 Once the instructor tells the story, the questions draw out the story’s accounting treatment or the accounting impact. Students learn best by participating, and the questions are the catalysts for such participation. That goes back to the idea that teaching is an art, and we all practice our art differently. For starters, you can use the stories as illustrative scenarios that bring the accounting principle to life and have a lively, accessible classroom conversation about the news story while teaching the related accounting material. The story about the Domino’s Pizza Delivery vehicle, for example, can be used when teaching property, plant, and equipment. Talk about whether Domino’s will capitalize or expense the cost of customizing the vehicles. Highlight the length of the useful life for depreciation for the vehicle customization cost. Another way to use the blog posts is to have class discussions following a more formal, structured lecture. You can call on students and ask them the discussion questions. Based on their responses, you can evaluate their real-time understanding of the concept being taught. A variation on this assignment has the blog post assigned as reading, followed by an in-class quiz with questions related to the story. 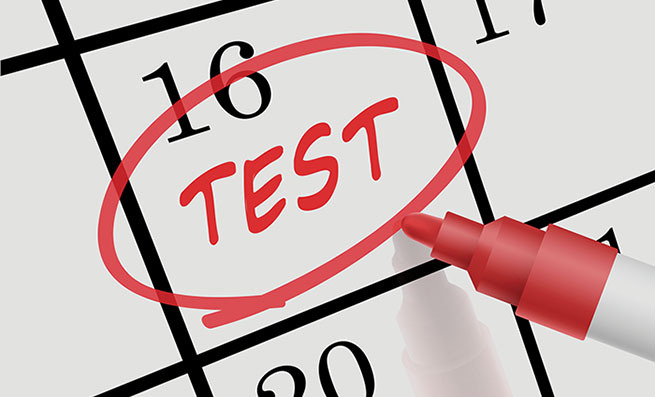 If a clicker system is employed, convert the blog story questions into polls or into multiple-choice questions. Blog posts also can serve as an outside class assignment. Have the students read the story on their own, and assign one or more of the discussion questions to be answered in an individual or group assignment. As I’ve noted, many of the discussion questions don’t have one definitive answer by design. They also can be adapted to an online discussion board. Again, I have been writing the blog for three years now. My classroom observations, assistants’ comments, and student feedback and interaction reinforce the value of using real-life stories in the classroom. And the reactions and questions from students continue to shape how I consider the use of real-life stories and make changes to my approach. Once more, one class stands out for the revelation it prompted. About four months ago, I gave a class lecture on property, plant, and equipment. Of course, part of that discussion addressed allocating the purchase price when a company purchases more than one property item at a time. I used a fictitious example of a company’s single purchase of a building, land, and equipment. It was a generic example: Graves Automotive pays $320,000 for a group purchase of land, building, and equipment; subsequent discussion reviewed the current market value of each of those three assets. The relative sales value method demonstrated how to allocate the purchase price among the three assets according to each asset’s individual market value. I spent significant classroom time on calculations and on explaining why the purchase price had to be allocated to each asset. The class ended with my usual wrap-up question, “Do you have any questions about what we covered today?” Students typed their answers into a phone app, and I looked at the responses after class. Several students mentioned relative sales value as the concept they didn’t understand. Despite using what I felt was a clear example with step-by-step illustrations, students were having difficulty understanding it. That night, I browsed property records for Kent, Ohio, the city where my university is located. I found my next real-life story in the commercial property sales activity: An off-campus student housing rental had been sold in the past year. Located on the town’s main thoroughfare near downtown Kent, the circa-1870 house is a large, three-story, wood frame house featuring a Queen Anne-style turret and white-columned stone front porch. The cool-looking house is situated on a half acre of land, offering coveted off-street parking spaces. Fortunately, this house and the property record were on the auditor’s website. Success! I now had a student-friendly real-life example. I wrote a blog post on the house’s purchase for $249,000 during the prior year by a company called Black Squirrel Rentals LLC. And, thanks to its proximity to campus, I photographed the distinctive exterior for use in the next class. Two days later, armed with the new content, I started the class by showing students the photo of the house. Their interest was piqued from the get-go. I talked about how the company purchase included both the house and the land. We talked about the house being depreciated as well as how and why the land couldn’t be depreciated. Using the calculations from the previous lesson, I again reviewed how to allocate purchase price. 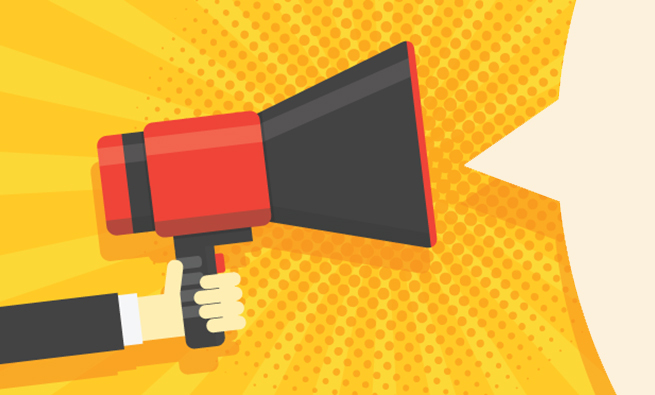 Same concept, different case study—and this time I had my audience’s attention. The end-of-class feedback strongly indicated I had answered the questions students had submitted after the previous class. This real-life story resonated with them. From one class to the next, I gladly became the student: It reinforced the ongoing value of using real-life stories in the classroom. And not just any stories, but ones that demonstrate how accounting serves the products and services that college students might routinely enjoy and value. I continue to make connections, leveraging what the students know about real companies to better understand the accounting concepts that I teach—concepts that they must ultimately master. Using a well-known company name removes one unnecessary layer of unfamiliarity. Do visit Accounting in the Headlines. It offers teaching ideas that I hope will enhance any introductory accounting course curriculum. The website is also a resource for conveniently identifying accounting current events. If you want to keep up with the blog and make sure you don’t miss any posts, you can also subscribe to receive the stories via e-mail. There’s a subscription box on the home page. Enter your e-mail address there to receive a subscriber notification and confirmation request. Throughout the academic year, weekly e-mails will arrive containing the blog posts. And no spam will be sent. I don’t distribute the subscriber list or use it for any other purpose. Accounting in the Headlines also has a Facebook page, and I announce the blog posts via Twitter (@WendyTietz) and Instagram (@WendyTietz). Finally, if you have any ideas for news items that would make a good post, please let me know. I can be contacted via e-mail, Twitter, Instagram, or through messaging on LinkedIn at @WendyTietz. 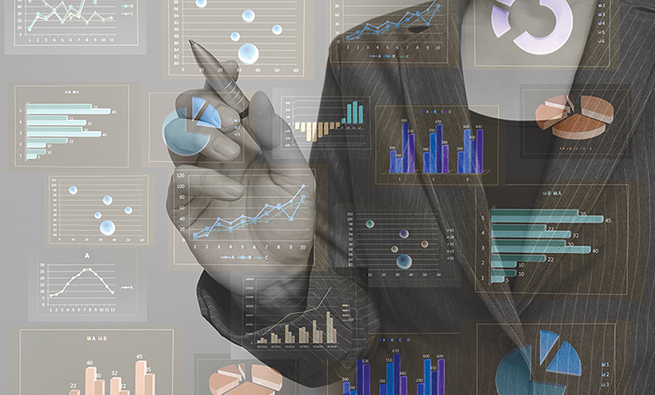 New ideas benefit Accounting in the Headlines and other instructors. And if I do use someone’s story suggestion in a blog post, I always include an acknowledgment of who sent in the suggestion. 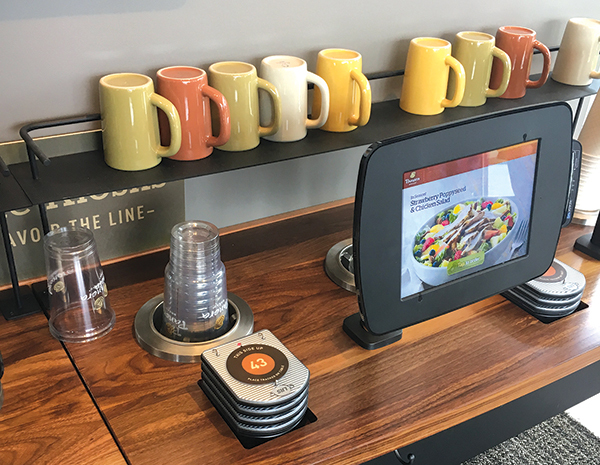 During 2016, Panera Bread Company (PNRA) is building ordering kiosk centers in its cafés. These ordering kiosks will allow customers to browse nutritional content of its menu items and will allow for personalization of menu items. Panera has stated that wait times will be shortened and order accuracy will be improved by using this new technology. Panera expects to realize labor savings from using the ordering kiosks in place of employees. Are the kiosks mostly a fixed cost or a variable cost? Explain. Would a Panera’s employee taking orders at the counter be considered to be a fixed cost or a variable cost? Explain. How does the change to using kiosks to take orders rather than using employees to take orders change Panera’s breakeven point? Why? Wendy Tietz, CMA, CPA, Ph.D., is a professor of accounting at Kent State University and the author of the blog Accounting in the Headlines. She is also a member of IMA’s Akron Chapter. You can reach Wendy at wtietz@kent.edu. To subscribe, go to https://accountingintheheadlines.com/. In the right hand column, there is a place to subscribe via email. Articles and analysis are exciting and it enlightens the entire class of students and professionals. I am fortunate to have discoved your Blog today. something that I have been wanting to do to bring life into my teaching and the class. I am an Accounting Professor working in an UNIVERSITY in india.